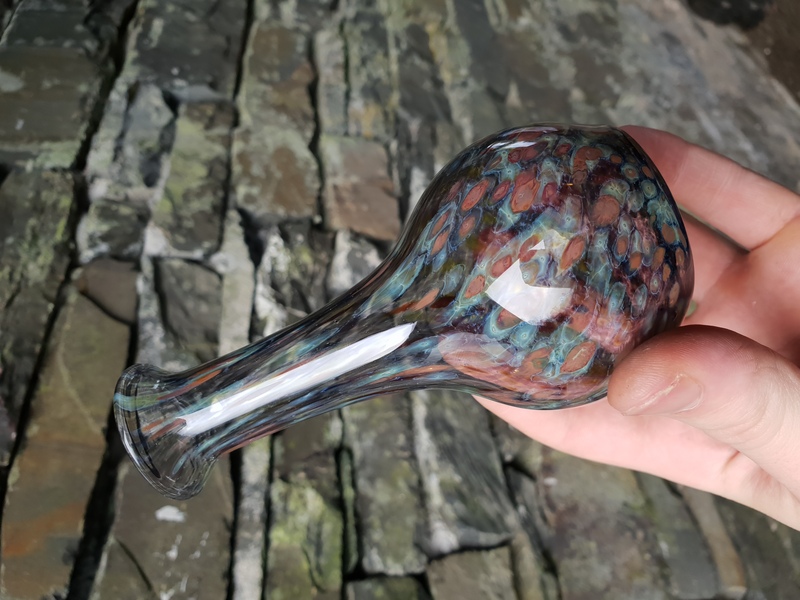 I started working with glass in 2010 and became interested in the different colouring techniques with both solid work and hollow forms which has led me on a never ending journey of experimentation. 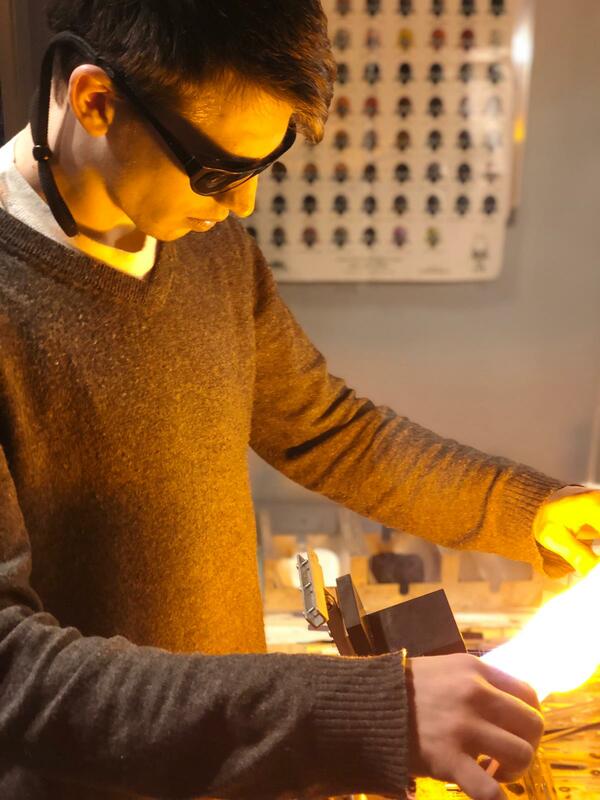 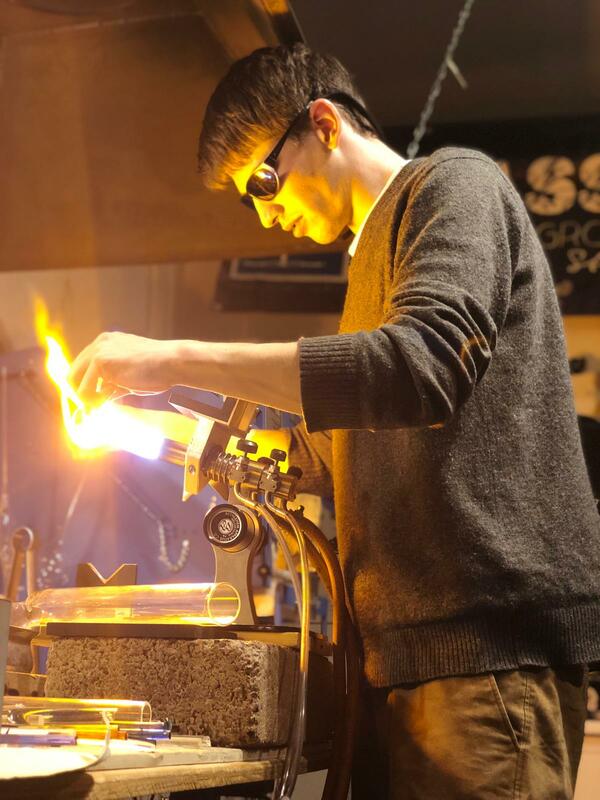 My passion for glass lays with pushing the boundaries of previously perceived limitations and expanding my perception of what is possible to achieve with glass. 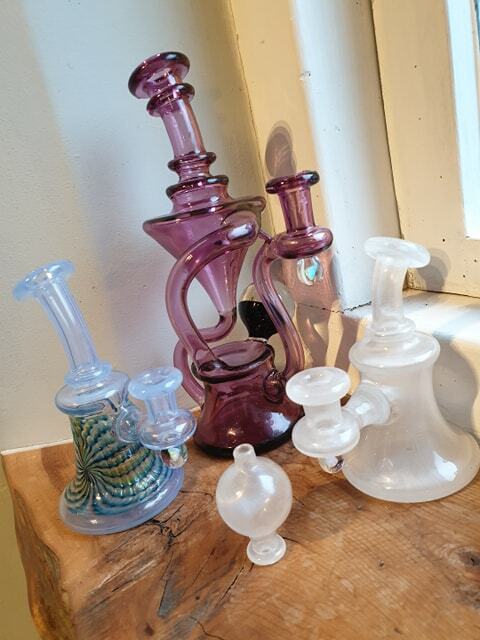 Functional glass art has always been a main point of interest for me, and the sense of love in the glass art community is like no other. 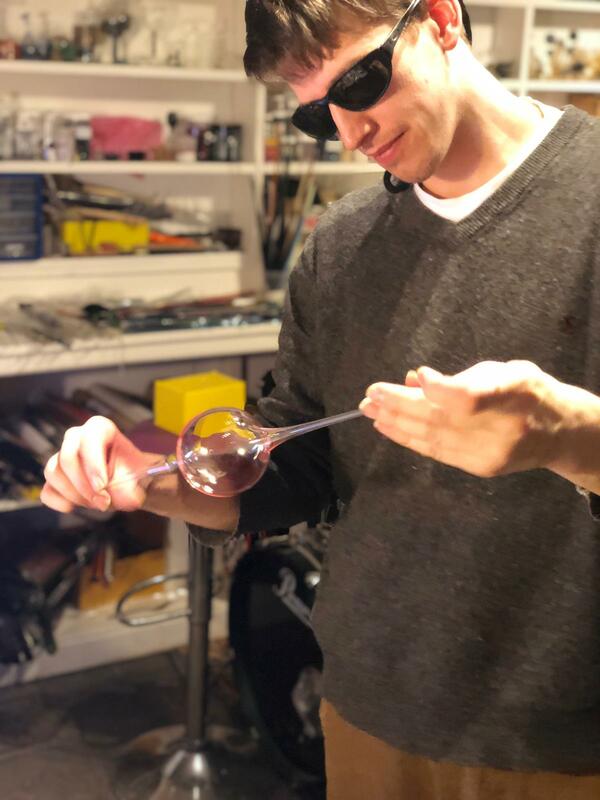 The focus of this Borosilicate class will be to demonstrate one of the colouring techniques I have developed that can be used within blowing hollow glass forms, I will describe the process from pulling the points to shaping a vase teaching how students will be able ton control borosilicate tube , add decoration and blow in a controlled manner to achieve the shape you desire. 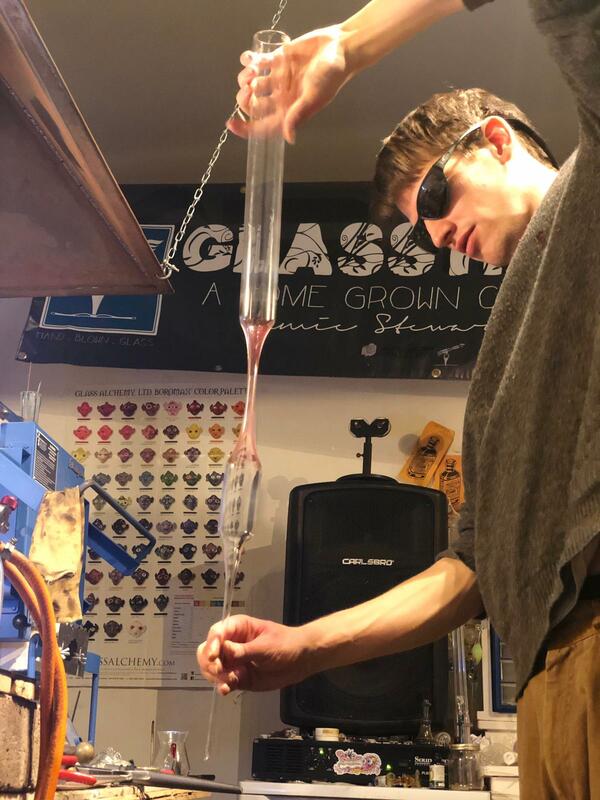 James Stewardson (Glass Haze) ,Thursday 30th May Class.